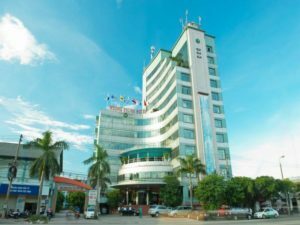 The Muong Thanh Vinh Hotel is a large mid-range hotel with a good range of facilities: restaurant, bar, fitness centre, fitness centre and indoor swimming pool. This is useful because there is not much around the part of town where the train station is located. The rooms are large (25 sqm or more) and represent good value for money. Free WiFi, air-conditioning and fan, fridge, satellite TV and choice of single or double beds in the rooms. Breakfast included in the room price. 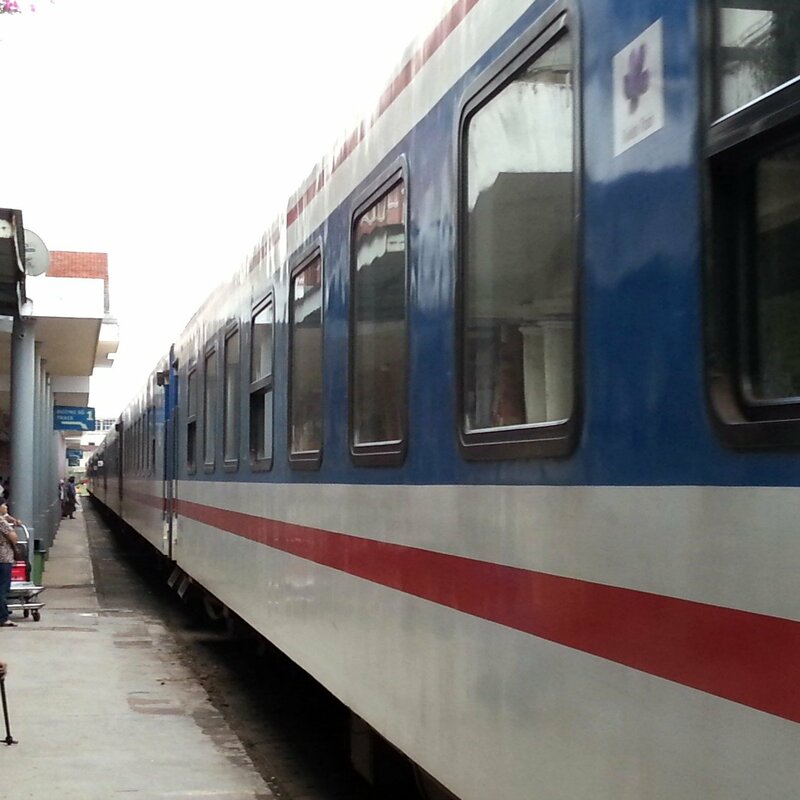 Everything you need for a stop over on a Vietnam train journey. A bit of a walk away from the train station but great value for money. 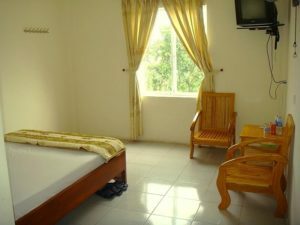 The room are a good size, they have air-conditioning, there is satellite TV and free WiFi. The rooms are clean but the furniture is dated. Tip: If you do stay here they do not have a restaurant or shop close by so bring something with you if you are arriving too late to want to go into the city centre to eat and drink. This is a medium sized hotel with a restaurant, spa and tennis courts. The room standard doesn’t quite hit the 3 Star category, however, this hotel priced less than a 3 Star hotel so it is actually quite good value for money. 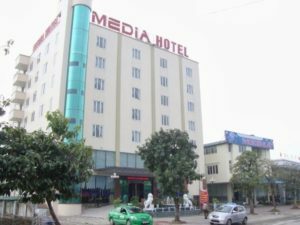 Think of it as a very good cheap hotel, rather than a bad mid-range hotel, and you will understand the benefits of staying here. Breakfast, free WFi and satellite TV are all included in the room rate.